The world needs heroes: people we look up to, admire, emulate. 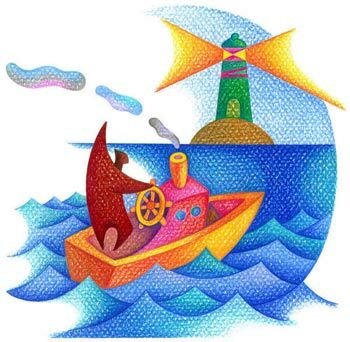 They are purveyors of change, strength in crisis, rock solid in stormy seas. They also raise the rest of us up during sunshine days. The best leaders, I am told, are those who put great ideas into practice that everyone else claims were their own. Great leaders not only rule. They rock. McKinsey Quarterly issued a most inspiring piece entitled “Leading in the 21st Century” the other day. Call me crazy, but I saw the Power of Slow throughout the entire twelve pages. I’m nerdy like that, culling through business articles because I like to learn from people who are so much smarter than me and think we might just have something in common. The article spotlights the thoughts of six prominent global CEOs: Josef Ackerman (formerly of Deutsche Bank); Carlos Ghosn of Nissan and Renault; Moya Greene of Royal Mail Group; Ellen Kullman of DuPont; President Shimon Peres of Israel; and Daniel Vasella of Novartis. One common theme from all of them is knowing your limits, learning how best to spend your time and taking care of yourself. Shimon Peres was by far the most eloquent of them all. He said things such as “The mind of a leader must be free – a mind that can dream and imagine. All new things were born in dreams.” Yes! As I like to say, if you don’t get enough sleep, that American Dream will never happen. Carlos Ghosn talks of global empathy, a notion I have wholeheartedly supported all my life. We are all in this life together. You might look, sound, even smell different than me, but I bet you feel love the same way I do. Trusting your instincts was another shared notion. Knowing when to delegate what and to whom is essential. Josef Ackermann claims “no CEO can do it all on his own. You need the expertise, judgment, and buy-in of your team.” I agree. If I didn’t have fabulous colleagues on whom I could rely, I’d be half the public relations professional I am today. Once again Shimon Peres inspired me with his claim that leaders must have “ambition for a cause greater than themselves.” To be the master of your own ship, you must believe in something beyond yourself. Only then can you navigate the waters in this world. Sharks may be in your ocean, but you’ll hopefully have friendly dolphins too! Staying grounded in the face of crisis is another key point. As the article suggests, reserving critical decision-making for those times when we are most rested is a wise choice. Acting out of impulse, exhaustion or decision fatigue is not a good idea. That’s where the Power of Slow can help. Step back. Admire the grand design that is your life. You are the architect of your own reality. How are you doing thusfar? Video bonus: Bloomberg recently followed media mogul, Je’Caryous Johnson, to see how he spends his time. The best part? His business day ends at 3 pm. After that, he says, he dedicates his time to writing. “It’s just me, my laptop and God.” Creatives are like that! Is it Wednesday again? Well, you know what it’s time for, then! This week’s Wednesday Wait a Minute examines strategic speed and how going fast isn’t always, well, faster. Ellen Daehnick, owner of the management consulting agency, b-spoke group, says our heightened distraction leaves us depleted and worn. Back to back meetings used to leave her breathless until she found a secret strategy to disengage from clock combat. No more shiny object distraction for her! Listen in on how she managed to move from jumbled schedules to joy! If you like what you hear, don’t forget to right-click, save, then place your Power of Slow badge of honor anywhere in your social media universe. We appreciate you spreading the word that slow is faster and that fast is merely exhausting! 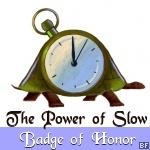 Harvard Business School Blogger says slow works! CTV news wrote a piece about Harvard Business School blogger Peter Bregman who embarked on a single-tasking experiment after a series of multitasking blunders. He tried to craft an email while on a conference call with a board member, who asked him a question. When the board member received no response, the situation got awkward. Peter swore off multitasking for a week. More patience for the ‘useful things’ in life. More protective of the time he spends. He looked into his personal bank account of time and smiled. He literally saw the leaves on the trees and felt a rush of gratitude. During a recent acting workshop with the gracious and gorgeous Gabrielle Scharnitzky, I learned the importance of asking ‘Why’ above all else. The motivation of the character informs everything that follows. Ask yourself what the character believes (the ‘why’) and the actions (the ‘what’) and the movements and words (the ‘how’) will automatically fall into place. Simon Sinek also speaks of the power of why in leadership. When we are clear about our beliefs, we attract others who believe as we do. And that is the beginning of a movement. I believe in the right to determine our own pace of life. Why do you believe in the power of slow?